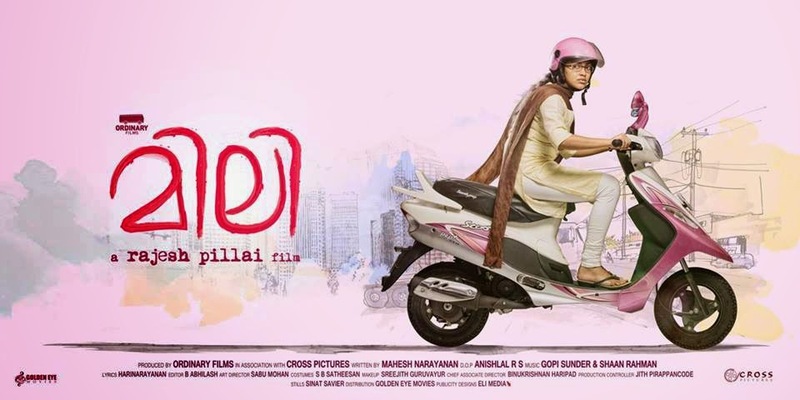 Mili is the upcoming malayalam movie directed by Rajesh Pillai, starring Amala Paul and Nivin Pauly in the lead. The story of the movie revolves about Mili, character played by Amala. The movie also other actors like Saikumar playing the role of Mili's father, Sanusha, Shamna Kasim, Praveena, Ambika, Swapna Menon, Riya Saira and Edavela Babu. The film is produced by Sathish B Sathish under the banner of Ordinary Films. The music is handled by Gopi Sunder & Shaan Rahman and Cinematography by Anish lal.